We had the pleasure to be interviewed by Kali Block for Amtrak’s Descubre Norteamerica Blog. She asked about the orgin of the MAkossa Broooklyn Cookouts and how we have been holding on to our roots in the rapidly changing neighborhood of Williamsburg Brooklyn. The Piece came out great here is an excerpt. Please head over to the Descubre Norteamerica and check out the rest of the interview. Fresthetic, the birthplace of Makossa Brooklyn and home to many art-inspired events, is a family-owned boutique that houses apparel and artwork designed by independent artists from around the world. As it approached seven years of serving the community, I got to chat with Michael Shawn Cordero about how it all began and what it takes to run successful events and maintain a family business in a neighborhood undergoing rapid change. 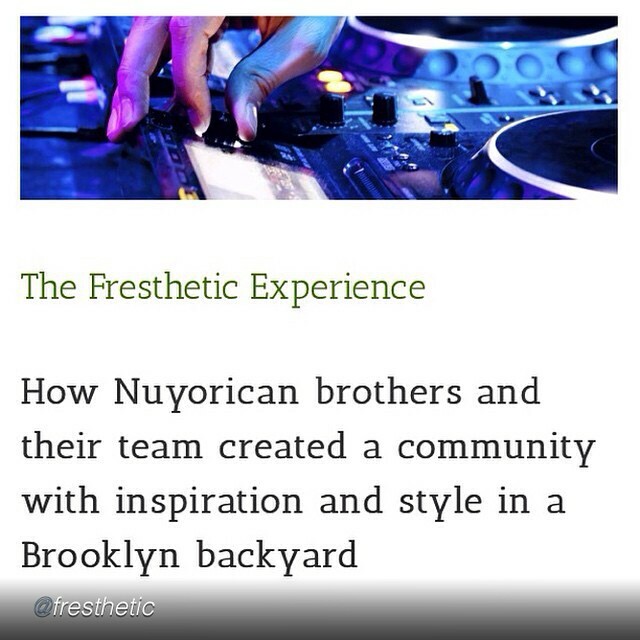 When I first attended a Makossa Brooklyn Cookout, it was held in the backyard of the Fresthetic store. You had to move to a much larger venue at Brooklyn Tap House, and you’re still packing the place from wall to wall. How did Makossa Brooklyn get started and where did the concept come from?